With Coincheck, SMS certification is required for receipt and payment of Japanese yen. When SMS authentication is completed, you can deposit up to 50,000 JPY per day in Japanese yen equivalent, and withdraw to 30,000 JPY. ② Please press "Send SMS". ③ Since the SMS will arrive, let's enter the authentication code you received. 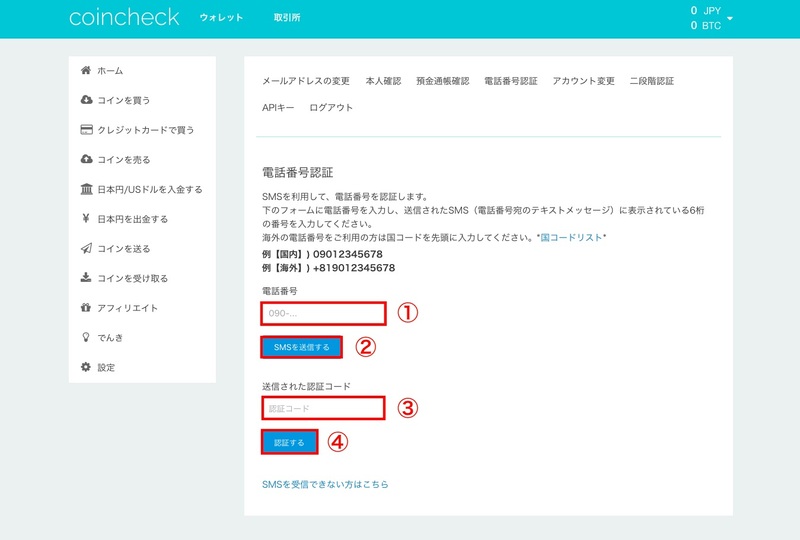 ④ Registration is completed by pressing "Authenticate". ※ It may take about 15 minutes to receive SMS. If you do not receive it after waiting 15 minutes please press "Send SMS" again. ※ The number of SMS transmission times is 6 times the maximum number of times. Those who can not receive SMS please try registration from the above image " Those who can not receive SMS from here ". After sending, if you move to the screen like the image below, registration will be completed. ① Please enter your phone number (don't forget to enter the appropriate country code Country codes list ). 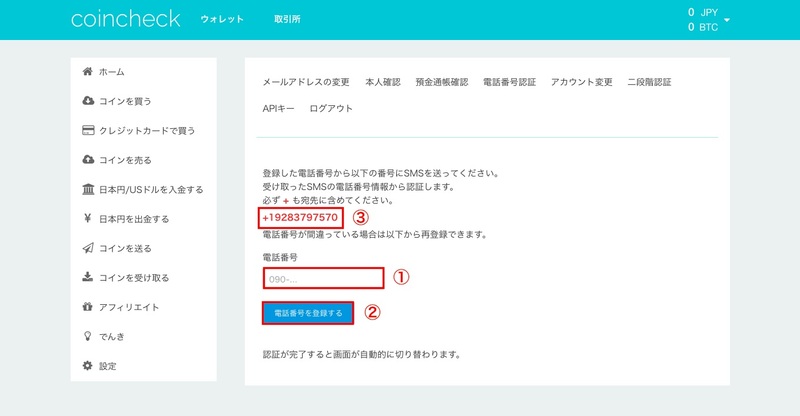 ② Please press "Register phone number" when input is completed. ③ Let's send SMS from your mobile phone to +19283797570 . Since the contents of the message can not be sent with blanks, please input after optional input.